Absolutely beautiful board. Totally stable, weighs as much as a Sabertooth tiger, and eats children for breakfast. Would recommend. Would not recommend if you own children. Asus SABERTOOTH X99 Is just a Beastly Board all the Way around. It reminded me of a Cast Iron Skillet when I first went to pick it up. I would hate to get hit by one full swing that much I know for sure. It has Eleven 4 Pin PWM Fan Headers if my count is correct, so that was a pleasure. Dust proofing is what encouraged picking this board even with the price premium. After Working with the Board, and seeing the attention to detail on everything from the Mother Board header pin out connector assistant that is a true God Send, I have NO Regrets in my Purchase. Would not only highly recommend this board. I will likely look to ASUS for future builds based on this experience. Great motherboard it literally does everything! And for much cheaper than the other ones like the X99 deluxe. But the only reason I knocked out a star is because it can be difficult to troubleshoot if you don't have an Android device for the TUFF software. Would recommend this one. 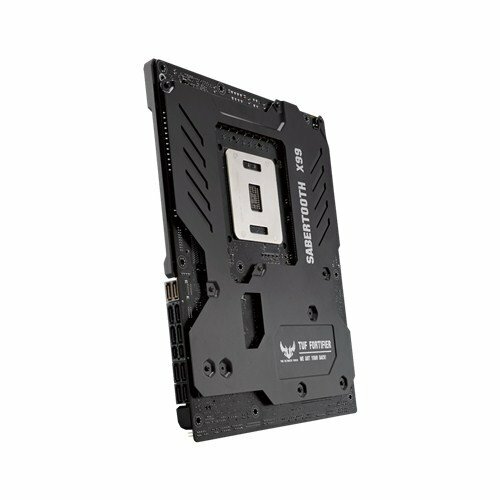 Sturdy high end motherboard, definitely worth it if you're looking for something that'll last just as long as the processor. Also the armor can be removed and painted to better suit your theme! Crazy amount of fan headers, and great overclocker. Beautiful, I love the dust covers! Great MB. X99 is atm the best and this board has all what you want. I got 50€ cashback. from completed build Enthusiast Build "Alchemical"
I used this board to replace an X99 MSI Plus board. So far I have had 0 issues. Overclocking was pretty straight forward. I have not used the app with though so I can not disclaim on how well that works. I like the "Assist Fan" which helps keep the dust out of the board, as well I like the build quality of the board overall. I literally cannot fault it! This thing is a weapon, If I had to i would say that its limited to 3 way SLI although that would be pushing it. 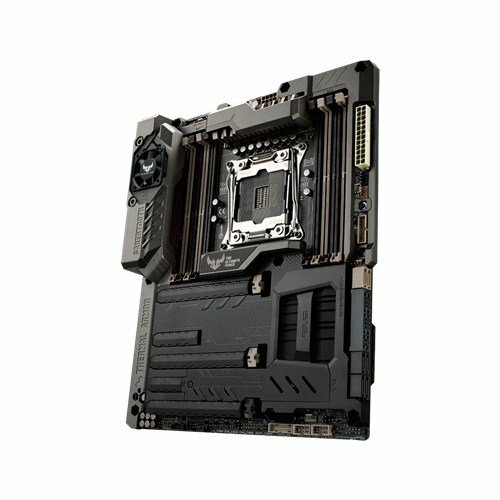 Stick with 2 High end GPU'S max if choosing this motherboard. 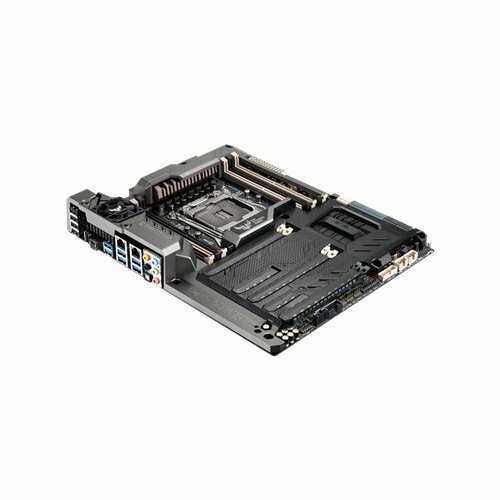 Asus SABERTOOTH X99 Is just a Beastly Board all the Way around. It reminded me of a Cast Iron Skillet when I first went to pick it up. I would hate to get hit by one full swing that much I know for sure. It has Eleven 4 Pin PWM Fan Headers if my count is correct, so that was a pleasure. Dust proofing is what encouraged picking this board even with the price premium. After Working with the Board, and seeing the attention to detail on everything from the Mother Board header pin out connector assistant that is a true God Send, I have NO Regrets in my Purchase. Would not only highly recommend this board. 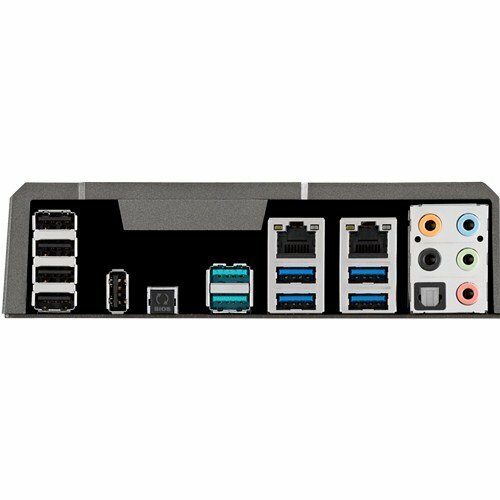 I will likely look to ASUS for future builds based on this experience. I now have all 10 SATA ports in use. Guess it is time for an expansion card..